Villant Ndasowa, a pioneer in Malawian cinema, is filmmaker, producer, media consultant, and film festival founder and organizer. 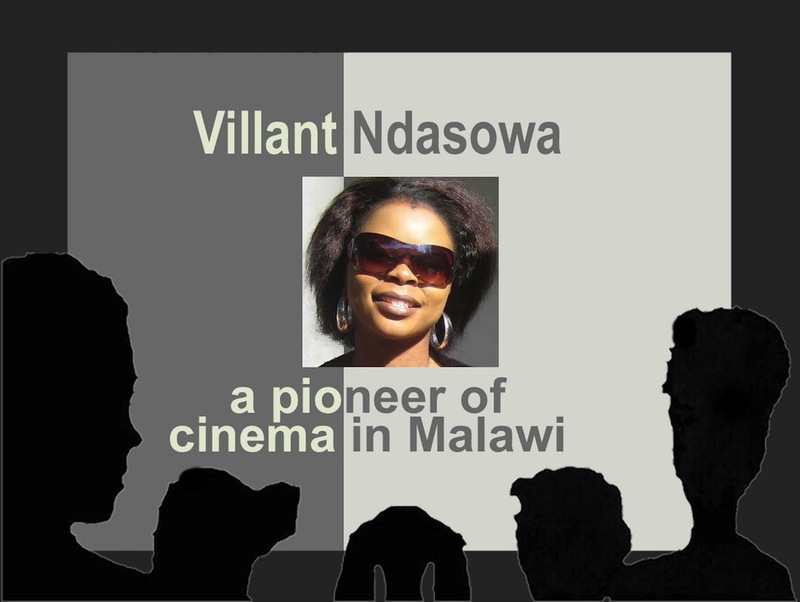 Villant, you are a trailblazer in Malawian cinema, how did this all begin? I worked for TV Malawi from 1999, then I left for the UK to study. I hold a BA with Honors in Media Production at the University of Bedfordshire and a Higher National Diploma in Media Studies from Middlesex University. It’s interesting how I came to be a filmmaker. All I wanted was to study something unique and since I was good at art I opted to study film and television. What were your experiences with cinema while growing up? Well in the 70’s, before I was born, I am told that cinema was the entertainment of the day in my town Blantyre. There was the Apollo where people used to go and watch films. Also in Lilongwe where I was born, there was a drive-in in Area 47. Now all we can see is just the rusty remains of the screenstand that is visible from the City Centre. The cinema scene in Malawi was still visible up to the mid–late 80’s then it vanished. So there has been a 20-year absence of cinema in Malawi until the launch of the Malawi International Film Festival, apart from small video showrooms in townships. Now we have one cinema house in Blantyre. You are the founder and director of the Malawi International Film Festival? What a great initiative! How was it created? What is the mission and objectives and how has it been received? The festival was created to offer the best platform for cultural exchange and also to give a chance to most Malawians who have not travelled to use film as a window to the rest of the world. We also thought that it would pioneer the film industry in Malawi by sourcing and providing training to the skilled and talented Malawian who never had a chance to study film. Since this is new to Malawi…not many corporate companies see the need to sponsor or participate in any way. Our partners have been mostly the countries that have diplomatic ties with Malawi. In terms of film entries and participation? In terms of films we do get a variety. As for the challenges, sourcing and financing the activities have been the major problem to advance the objectives of MIFF. Currently we do not have a wide network of acquiring the films as we are limited but we do source them through the embassies. You are working diligently to develop a film culture in Malawi, What are some of your projects and initiatives? Since I could feel the absence of a cinema-going culture, I resorted to coming up with the festival which collects a variety of films around the world both fiction and documentary. I appreciate the value of films and the impact it can have on the viewers and I feel it is the only art that encompasses all arts: music, poetry and drama among others. I feel films are an eye opener…bringing the rest of the world much closer. Every year I look for sponsorship for training. The Embassy of Finland, Germany, and the United States of America have been great partners in providing the training. This year the main sponsors pulled out because of other priorities so it is sad that MIFF 2011 did not take place. However training will always be the core objective of MIFF to ensure steady growth of the film industry in Malawi because our universities and colleges do not offer TV/Film studies. MIFF will continue lobbying the government to view film as a potential industry that would contribute to economic growth of the country. Your film The Mystery Mountain has been well received and viewed widely, what is it about? It is a story of the legend and myths around the mysteries of Sapitwa Peak on Mulanje Mountain in Malawi. This documentary investigates how and why people vanish on Mulanje Mountain. It looks at the incident of Linda Pronk, a Dutch woman who went missing in 2003 and since then she has never been found; as well as other stories of people who have disappeared and reappeared at a later date. What the local ‘Mang’anja’ and ‘Lomwe’ people believe is vastly different from the theories of others who have become involved in the mystery. We hear about the beliefs of Lomwe and Mang’anja tribes and the connection of disappearing people and spirits that dwell on the mountain. Mystery Mountain compares the mythical explanations of the local people against the pragmatic explanations of others. How the same events can be cast in two completely different lights according to the culture from which you come. Where has the film been screened? It has been screened around the world, such as the Edinburgh Film Festival in Scotland, in Swaziland and South Africa among other festivals. It has also been screened on the Brazilian national television. You are a media consultant. What does that entail and what are the activities in which you are involved? Well, the way the film industry is at this point in Malawi…I would say the activities are few. Since I studied communication I also do media and communication consultancy by developing media campaigns and strategies for both government and non-government organizations. Your production company First Wave Pictures, what are some of its projects? Since in Malawi we do not get any funding for films, normally most of the projects apart from a few are commissioned documentaries by the client. So far three projects are in my briefcase still looking for funding: “The Black Boy”, “Silent Trade” and “Million Dollars Industry,” all documentaries. I do hope to make a film trailer for “The Black Boy”, a historical film about the struggles of Africans on the road to independence. It tells the untold story of the martyr, John Chilebwe who was at the forefront of raising consciousness among Africans to realize that Africa is for Africans. He was killed and his graveyard has never been known.